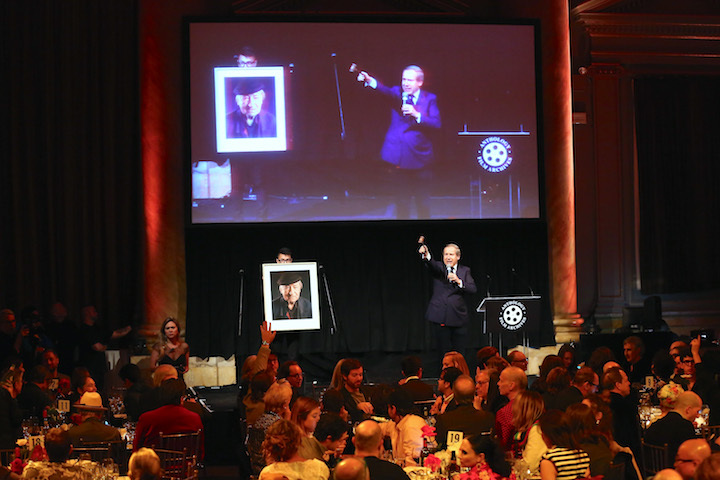 In the midst of a very busy art week, the Anthology Film Archives Benefit and Auction celebrated famed filmmaker and co-founder Jonas Mekas. The center was founded in 1970 by Jonas Mekas, Jerome Hill, P. Adams Sitney, Peter Kubelka, and Stan Brakhage and still stands today as one of the most important New York venues for independent film screenings and related events celebrating the artistic cinema of the past along with those working under the artistic umbrella of film also today. The expansive dining room of Capitale was full of artists, patrons, art collectors hoping to take part in the live auction and a smattering of journalists such as myself along for the ride. Mekas came to the stage to announce a short film documenting the history of the Anthology Film Archives, describing how his idea to build a film library came to fruition. An underground New York staple, the Anthology Film Archives previously a courthouse, was acquired from the City of New York in 1979 and it took ten years for the building renovations to be complete. 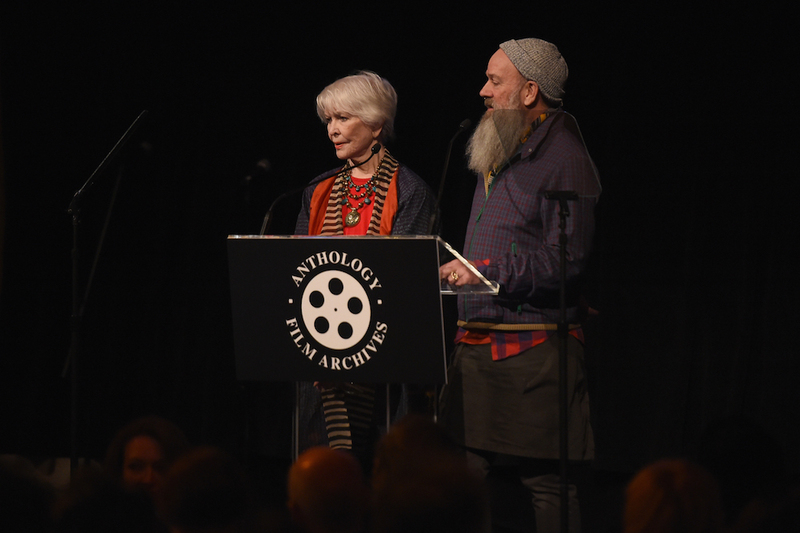 After Mekas’ introduction, other well-known art supporters such as Steve Buscemi, Ellen Burstyn and Michael Stipe took to the stage offering accolades to the artist, celebrating his extraordinary vision that has spanned an extended period of time and even at this later stage of life, continues through his spirit and desire to produce. With an extensive career, Mekas has remained somewhat under the radar within the realm of filmmaking never achieving a particular commercial success, although that doesn’t seem to bother him or have been his goal. The purpose of the Benefit was both to praise the institution, honor one of the co-founders and to raise money, as most do. Their renovation proposal overview seeks to build a library and gallery part of the initial plans and never completed. A library would allow scholars to visit the space and access a collection of films and artwork from the likes of Kenneth Anger, Joseph Cornell and others. Part of the plan is also to construct the Heaven and Earth Café on street level, opening its doors to the public with all profits going towards the Anthology’s operating costs. The building –surprisingly– doesn’t have an elevator which limits second floor access for those with disabilities and the elderly so installing an elevator is part of their plan as well. This was unexpected as so many buildings open to the public now must be wheelchair accessible. The third phase of the evening involved a special live auction, presented by Simon de Pury. A reserved man until the microphone is in his hand, de Pury ignited the first spark of the evening and all works were sold either to those present or phone bidders. 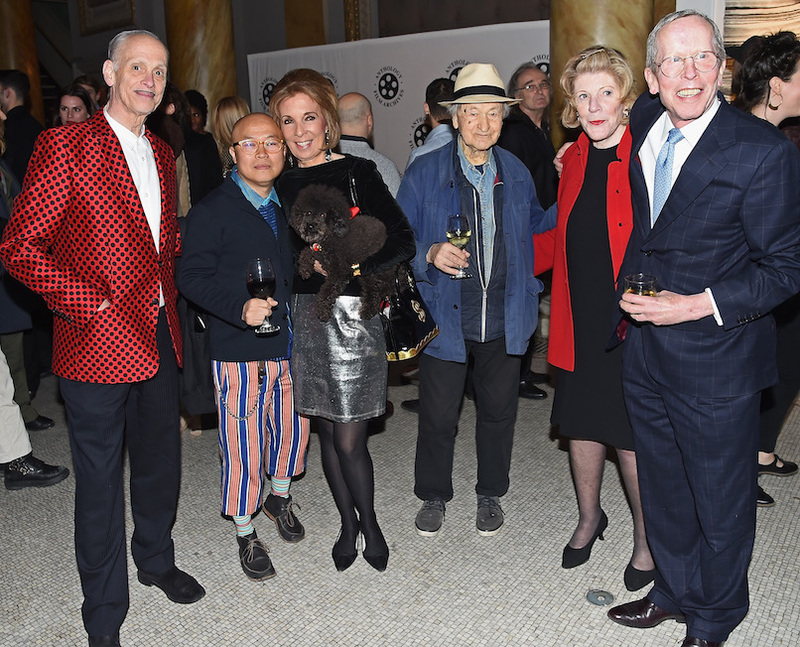 All of the auctioned artwork had been donated by artists such as Cindy Sherman, Carol Bove, Ed Ruscha, Matthew Barney and others. An unexpected shock of the evening was when a Richard Prince work, “Good Painting” (2014) came up for bid and was met with silence. Not getting a single ‘live’ bid, the piece went to an absentee bidder. The most lively part of the evening occurred when de Pury announced a 20 edition print by Chuck Close of Jonas Mekas that would be available for $5,000. Hands quickly shot up and some were even waved frantically as employees with clipboards took credit card information. The most poignant moment was when an original song by Laurie Anderson, which will be written specifically for the winner was acquired by fashion designer and arts supporter Zac Posen, for $10,000. Anderson, who wasn’t present, had asked that they also honor Lou Reed who passed in 2013 and would have been 75 years old. 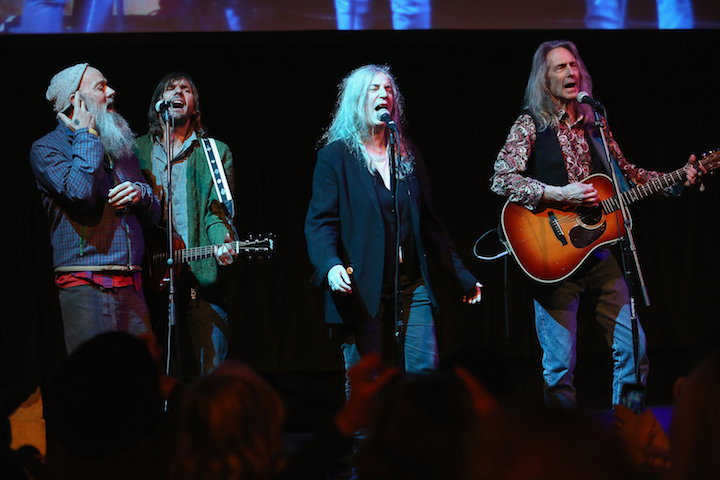 The highlight of the event was when musician Patti Smith, announced by Girls actress Zosia Mamet, took the stage. At 70 years old, her voice and energy pulsated through the room even resulting in one of the guests to stand at his seat two fingers held in the air declaring peace. With all those in the room, the event was anchored in the present but somehow supported by the past. There were murmurings of the famed Chelsea Hotel where Mekas lived for years and the downtown art scene in the 1970s before highrises and boutiques lined the Bowery. Perhaps ghosts from the nearby Anthology flew over to Capitale and were in the rafters, floating above the tables, wafting the scent of porcini ravioli. Smith took to the stage in a black blazer and blue jeans, her eyes shining. She started with “Holy (Dream of Life)” with lyrics extracted directly from “Howl” by Allen Ginsberg, followed by “Because the Night” a song she co-wrote with Bruce Springsteen in 1978 which garnered commercial success after being covered by 10,000 Maniacs in 1993. She was later joined on stage by Michael Stipe for a rendition of her own “People Have the Power” from 1988. Her performance was electric and the perfect culmination to an evening that in total raised $1.8 million dollars. With all the invisible souls in the room, I have a feeling I won’t be the only one visiting the Heaven and Earth Café. See you there.